Bikepacking the Flint Hills Nature Trail Part I: Preparation is the first post in a three-part series. To read more about Andy&apos;s adventure you can check out Part II: Hitting the road and Part III: A Day on the Trail. [[endteaser]] 4-16-14 Preparing Like many epic adventures, it all comes down to the last minute throwing together of sleeping bags, water bottles or a camelback and details to make sure everyone’s on track. The biggest decision that had to be made was where to camp. Riding over three days we could easily end up staying in two different places, but the locations along the Flint Hills Nature Trail are slim for bicycle and hiking traffic. Hopefully that’s something that will develop, very similar to what has occurred on the KATY Rail Trail in Missouri among other destination trails. I did some searches online, scouring the Google Maps with a fine toothcomb for a state park or county lake that offered free primitive camping. I also utilized a Kansas treasure, the Kansas Cyclist website. This is a resource run by Randy Rasa as a retirement gig. It provides local riding resources for many cities in Kansas, and specifically offers a map and listing of almost all potential public bike camping locations. It’s a great starting point for planning out a multi-night ride if you plan to experience the outdoors while camping or bike camping alike! With that out of the way, the tough decisions are left. What snacks to bring. I’m a fan of the basic granola bars, but my friends have some other interesting tastes in gravel riding grub. Fruit snacks, assorted nuts and Pringles-like chips are classics among this crowd. We are sure to end up with an interesting assortment come Friday! It seems to be the tendency of folks that bike camp, bike pack or ride in general to have multiple bikes. The question I’ve heard from my friends coming along: Which bike are you bringing? I told them all: Strawberrita. My hot pink Schwinn Le Tour II. 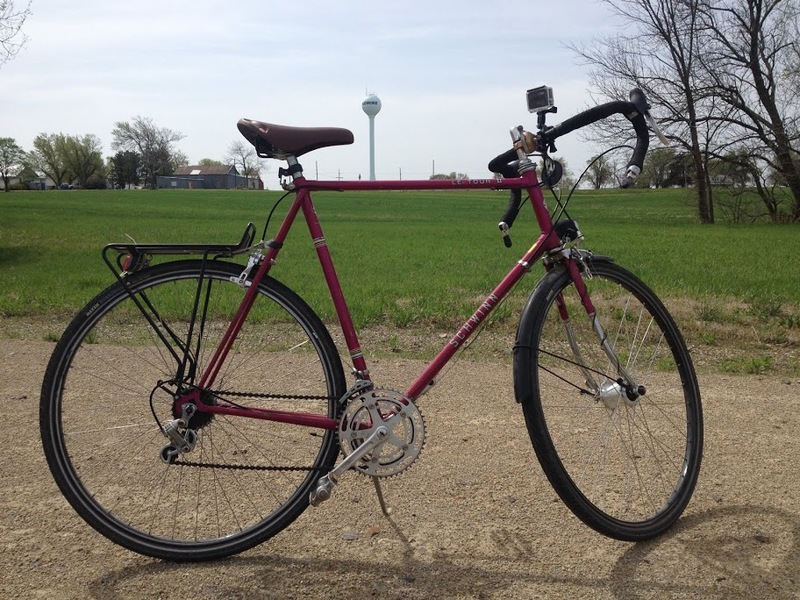 With some upgrades and updates like wheels more suited to general riding, (as opposed to just on the streets around my neighborhood), it gets around great for a 30-40 year old bike! The main things that determine which bike I’m bringing were the ability to carry camping gear and racks as well as the tire clearance. One of the tools I used to figure out what might work tire wise was a tool my friend Dan shared with me. Dan is working on the Flint Hills Nature Trail as a civil engineer in improving it for recreational uses as part of a grant. He sent me a link to an interactive map that gives you a feel for where construction improvements on the trail are, and what the trail surface is like in different places! Pretty useful stuff! With bikes chosen, we’re getting anxious to ride, despite some talk about potential thunder on Sunday! 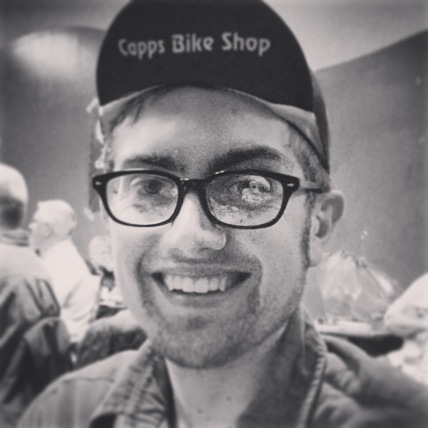 Andy Fry is an avid cyclist and life long Topekan. He enjoys getting outdoors to explore his favorite landscape, the Kansas Flint Hills. When he is not riding or camping, he volunteers at the Topeka Cycle Project to increase knowledge and safety amongst riders.